Our thanks to the office of Fremont, California holistic dentist Dr. Colin Yoshida for letting us share this post from their blog. The original is here. For all the amazing things modern dentistry has to offer, it still holds forth some pretty bad ideas. Filling teeth with neurotoxic mercury amalgam is one. Another? Placing a variety of metals in a person’s mouth. You could have a “silver” amalgam filling in one tooth and a gold inlay or crown on another. You may have titanium implants holding false teeth in your jaws. You may wear a partial or removable bridge that has metal clasps. If you’ve had dental work done by more than one dentist or multiple restorations over many years, those restorations likely differ in the metal alloys used to make them. 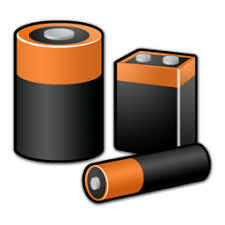 A battery has two electrodes – the cathode and the anode – made of different metals or other material. When placed in an electrolyte solution, chemical reactions occur at each electrode: One produces electrons while the other consumes them. This movement of electrons generates an electrical current. The same thing can happen in your mouth, but in this case, the electrodes are your fillings or other metal restorations or prosthetics. Your saliva provides the electrolyte solution in which chemical reactions occur. Under the right conditions, a reaction at one restoration produces electrons which are consumed at another, creating an electrical current between the two sites. But instead of that energy being directed to an electrical device, as with a conventional battery, the electrical current flows through your mouth and into surrounding tissues. The amount of current produced is relatively small. You can’t be electrocuted by it. There’s no immediate harm. What you might notice at first is a slight metallic taste or burning sensation. Sometimes the two sites are positioned so that they can periodically come into contact with each other. For instance, you could have a mercury filling on an upper tooth and a gold crown on the lower tooth right below it. When the teeth come into contact, the circuit is “shorted,” resulting in a burst of pain. Oral galvanism even happens temporarily if you put a metal object in your mouth or accidentally chew on piece of foil. Even if you can’t feel it, oral galvanism can affect your health. After all, your nervous system runs on electrochemical energy. Having extra currents running in your mouth can interfere with these. They can also disrupt energy flow along the meridians associated with the metal-restored teeth and may interfere with the healthy function of other organs on the same meridian. Commonly reported symptoms of chronic oral galvanism include headaches, fatigue, memory problems, sleep deprivation, irritability and other mood issues, and trouble concentrating. Oral galvanism may also result in increased mercury release from mercury amalgam fillings, resulting in increased mercury exposure with all of its toxic ill effects. The solution, of course, is to replace the metal in your mouth with biocompatible alternatives – composite or ceramic restorations and implants, say, or lightweight, metal-free partials. Depending on how long you’ve been living with the effects of galvanism, additional work with an integrative physician or other health professional may be needed to help bring the body back into balance. And if you don’t have metals in your mouth now, keep it that way. Stick with a dentist who will fix or replace teeth as needed only with metal-free materials. As ever, prevention remains the best insurance there is.